At E side of the main street of Bosherston village, 100 m S of the churchyard. Pair of joined cottages, built 1834, two storeys, double-fronted, each with a central entrance and porch, facing W. Local limestone, rendered. Flat arches over openings. All front windows consist of pairs of nine-pane casements within a chamfered frame with mullion. Slate roof. End chimneys and a chimney central to the pair, in limestone. The porch of the left cottage is carried on rough timber posts, that of the right cottage is carried on cast-iron columns. Extended at rear. Central lobby with staircase. Windows internally have built-in seats in a wall recess below sill. 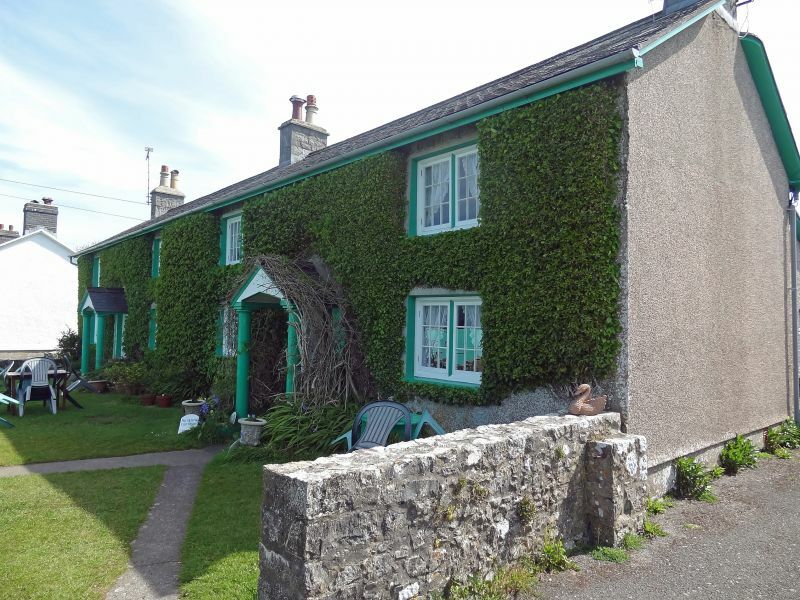 Listed as a superior pair of estate cottages and an attractive building on a prominent site in the village. At S of the road from Bosherston to Broadhaven carpark, about 1km SE of the Village.